Které nejčastější otázky pokládají zkoušející u ústní zkoušky z angličtiny na téma Vzdělávací systémy a jak na ně odpovídat tak, abyste získali vynikající hodnocení. Připravili jsme seznam nejvíce frekventovaných otázek hodnotitelů pro maturitní okruh Ireland a vzory odpovědí na jedničku. Tak si je vyzkoušejte nanečisto v klidu a teple svého domova na mobilu či počítači. 1. How can be the school system divided in the Czech Republic, Great Britain, and in the USA? Tell me about it. In the Czech Republic, we have kindergartens (age 3-6), primary education (age 6-15), secondary education/ high school (age 15-18), and tertiary education. In Great Britain, there are primary schools (age 5-11), and secondary schools (age 11-16). When the students are 16, they have to take the principle examinations. There is also higher education, universities, that last usually 3-4 years. In the USA, there are elementary schools (age 6-11), middle schools (age 11-14), high schools (14-18). There are also universities and colleges, which usually last 4 years. 2. Is the school attendance compulsory? Tell me about it. In the Czech Republic, it is compulsory for children from the age of 6 to 15. In Great Britain, school attendance is compulsory from 5 to 16. And in the USA, it is compulsory from the age of 6 to 16. 3. What is secondary education like? Tell me about it. 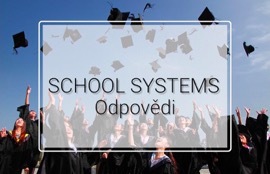 Secondary education in the Czech Republic usually lasts 4 years. The students can either attend grammar schools (gymnasium) or specialized schools. They finish with a school-leaving exam, called maturita. In Great Britain, there ate several types of secondary schools, but most of the students go to comprehensive ones. High schools in the US last 4 years and students receive the High School Diploma. 4. What is tertiary education? Tell me about it. Tertiary education is anything beyond the high school level. Students receive undergraduate and graduate certificates, and bachelor’s, masters and doctoral degrees. 5. Are universities free? Tell me about it. In the Czech Republic, public universities are free of charge. Students need to pay for private universities. In Great Britain and the USA, students have to pay annual tuition. Many of the American universities and colleges are very expensive. 6. What is the difference between public and private schools? Tell me about it. One of the major differences is funding. State schools are funded by the government, while private schools are not. Another difference is school and class size. Private schools are usually smaller in size, there are usually only 20-30 students in one class, while in state schools, there are over 200 students in a single class. 7. What is the grading system like? Tell me about it. In the CR, the grading system is from 1 to 5, with 1 as the best and 5 as the worst. In the UK, they use a letter grading system from A to E, where A means excellent and E means fail. In the USA, they also use a letter grading system from A to F, where A means excellent and F means fail. 8. Do students have to wear uniforms? Tell me about it. Czech students don’t wear uniforms. In the UK, it is common to wear uniforms. In the states, most of the schools don’t require uniforms but there is a dress code, explaining what students can and cannot wear. 9. How old are the students when they graduate from high school? Tell me about it. In the Czech Republic, students are usually 18 when they graduate from high school. In the UK, they receive the General Certificate at the age of 16. In the states, students graduate when they are 17 or 18 years old. 10. What are the best universities in the Czech Republic, Great Britain, and in the USA? Tell me about it. The best universities in the CR are Charles University and Masaryk University. In the UK it is the University of Oxford and the University of Cambridge. And in the USA, it is the MIT, Stanford University, and Harvard University. 1. Do you want to continue your studies after high school? Why?/ Why not? Yes, I want to continue my studies after high school. I would like to go to a university and get a degree. I think that education is very important and if we have the opportunity to study, we should take it. 2. 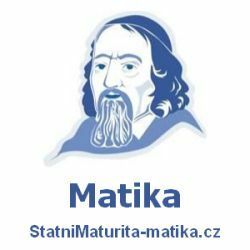 Do you like the Czech school system? Why?/ Why not? There are some things that I don’t like about our school system, but overall, I like it. I like that we don’t have to pay for our universities, and our quality of education is one of the highest in Europe. 3. Would you like to wear uniforms in school? Why?/ Why not? No, I wouldn’t like to wear school uniforms. I know that some people say that uniforms help reduce bullying, but I think we should wear whatever we want to, and express our own personality through our clothes. 4. Have you ever considered studying abroad? Tell me about it. Yes, I would like to study abroad one day. I would like to spend a year abroad or at least one semester. It is great for improving the language, and also to have friends from around the world. 5. Which school system do you think is the best one? Why? I think that the UK has the best school system. The quality of education is high, a degree is recognized everywhere in the world, professors are usually experts in their field, and also, the UK is a multicultural country, so you would meet people from around the world.